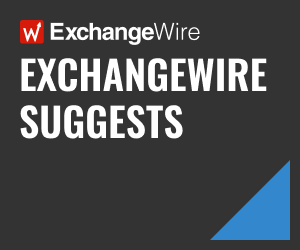 In this weekly segment, ExchangeWire sums up key industry updates on ad tech from around the Asia-Pacific region – and in this edition: Almost Half of ANZ Marketers See Traditional Paid Ads As Overrated; China to See Biggest Ad Spend Boost from World Cup; Ogilvy AUNZ Leaves Global Group & Rebrands; Isobar Introduces Voice-Enabled Mobile Banner in India; IDOOH Puts Ads in Vietnam Taxi Fleet; and WPP ANZ Unveils Research Panel on Qantas Customer Insights. Some 40% of marketers in Australia and New Zealand think traditional paid advertising, such as print, outdoor, and broadcast, is the most overrated marketing tool. In comparison, 12% believe the same is true for online paid advertising, revealed HubSpot’s 2018 ‘State of Inbound’ report. Some 76% tapped inbound marketing as the primary marketing tactic, but generating traffic and leads were top concerns for marketers. In terms of inbound marketing initiatives, 62% prioritise growing SEO, while 55% each prioritise content creation and marketing automation. Some 69% are confident in their marketing strategy. James Gilbert, HubSpot’s Asia-Pacific director, said: “We’re seeing an interesting shift in the way marketers reach their audience. Ad spend is increasing, but budgets are moving away from traditional paid mediums and we’re seeing greater diversity in media channels being used. It’s replicating the way consumer habits have changed. The upcoming FIFA World Cup will churn an additional USD$2.4bn (£1.79bn) in ad dollars globally, with China expected to see the biggest boost. In fact, the Chinese market is estimated to clock an extra USD$835m (£622.6m) in ad spend during the football tournament, accounting for 1% of the country’s overall ad market, according to stats from Zenith. The agency group noted that advertisers in China have been aggressively bidding to establish their connection to the sport, with some who initially had planned to reduce their spend on TV now deciding to increase their budget to ride on the World Cup wave. Its projections looked at the net amount of additional ad dollars that would be generated, assessing extra budget from advertisers looking to engage audiences during the sporting event, as well as decreases in spending from those who wished to avoid the more competitive one-month period. 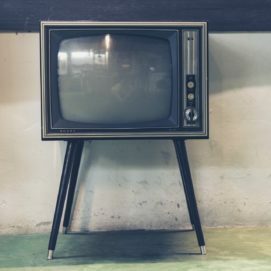 The World Cup is expected to pull in a global TV audience of 3.5 billon across 200 countries, and during a season when TV consumption is usually low. According to Zenith, the football tournament also attracts audiences that are difficult to reach on TV, specifically, upmarket and mobile consumers. Furthermore, because matches will take place at timezones where they will be asleep, 40% of addressable audience will turn to alternative platforms to view matches, such as snippets of the games on social media. This platform will play a greater role in facilitating World Cup viewing, though in ‘moments’ rather full matches. The PR agency has separated from its global network and established itself as a separate entity within WPP AUNZ. It also rebranded to ‘opr’, which it says acknowledges its Ogilvy heritage, whilst charging in a new direction that underscores its aim to “lead the Australian marketplace in terms of capability and results”. The agency noted that the new brand will remain the preferred public relations partner to Ogilvy in Australia and continue to work with the Ogilvy PR’s Asia-Pacific network to support a group of clients. opr’s other brands (Pulse, Howorth, and Parker & Partners) will continue to run as specialist divisions, whilst Ogilvy PR Health will be renamed ‘opr health’ and Ogilvy Impact will rebrand as ‘opr Employee Experience’. The Dentsu Aegis Network’s digital agency has rolled out voice-enabled mobile banners for Godrej Security Solutions (GSS) in India. Isobar India said: “While visual communication has been at the helm of most campaigns, audio has the power to break through the clutter, especially when it has an emotional angle and an intimate message that needs to be conveyed.” For example, the agency said it created a Mothers’ Day digital video for GSS, focusing on audio. It added that the ad needed to enhance and capture the bond between the mother’s voice and her child’s reaction. So, it created a voice-driven ad banner that was executed on a mobile device. It then placed the banner on parenting and youth-centric mobile apps and mobile websites, instructing users to help the mother put her child to sleep. By saying ‘mummy’ into their devices, these users would make the mother appear and sing a lullaby. They also were asked to share their favourite moments with their own mothers for a contest. According to Isobar, the ad clocked an engagement that was double the average rate of 2% and registered more than 1,200 submissions within 24 hours. The ad generated almost a million impressions within three days, clocking a 2% click-through rate. Dentsu Aegis Network’s Asia-Pacific chief strategy and innovation officer Arvind Sethumadhavan, urged marketers to “recognise the power of voice activation beyond devices”. He added that the agency group earlier this year launched the VoiceLab in Singapore to provide a facility, alongside Google, that looked at the “new vocal relationship” between humans and machines to jointly create experiences for the voice-enabled customers, Arvind said. IDOOH International has inked a deal with Vietnam’s largest taxi network, Mai Linh, to roll out 5,000 of its out-of-home (OOH) in-ride tablet screens. The deal would see an initial deployment to 1,000 taxis by year-end, with another 4,000 vehicles across 50 cities to be suited up next year. The 10-inch screens would deliver entertainment and information content and support e-commerce capabilities. The deal marked IDOOH’s third in the region, where it also inked an agreement with Micab Philippines last month and ComfortDelGro’s outdoor advertising unit, Moove Media, in Singapore in April. Citing figures from MAGNA, IDOOH noted that OOH ad revenue is projected to climb 3-4% annually to hit USD$33bn (£24.61) by 2021. Digital OOH today accounts for 5% of the overall global OOH inventory. However, it contributes 14% of total ad revenue and this is expected to increase to 24% by 2021. The media agency’s Data Investment Management Group (DIM) has launched a new panel management service, called ‘Research Profile’, offering insights to help businesses better understand consumer behaviour and support their marketing strategies. Specifically, the research panel would support Red Planet, a data marketing business under Qantas, which extracted customer insights from its frequent flyer programme. DIM CEO Rob McLachlan said the panel had helped push response rates at “significantly above industry averages” for the airline. 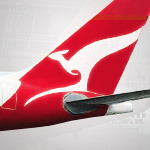 The Red Planet research panel comprised a cross-section of 12 million members of Qantas’ frequent flyer programme who opted to receive and complete market research surveys, in return for Qantas Points. Red Planet’s executive manager Vaughan Chandler said: “The key differentiators are its scale and connection to rich insights that provide businesses with unique opportunities for highly targeted sampling in their research and the ability to find insights that are representative of Australia’s population.